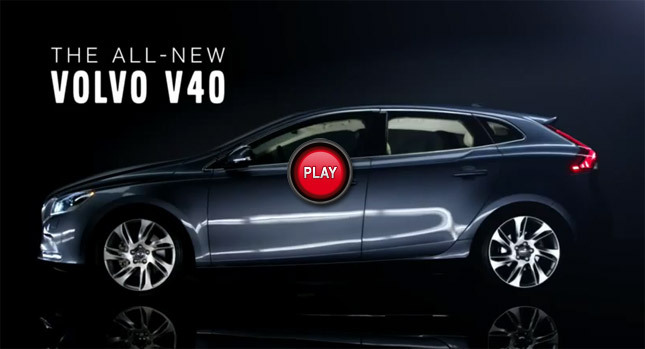 We are proud to reveal to you the all-new Volvo V40, a trademark of surpassingly good quality and a beacon of success. The all-new Volvo V40 will definitely be a force to beat in the car industry with regard to projected purchase and lease levels before the elapse of this year. This new model is brilliantly developed bearing in mind the requirements of potential customers who are expected to eventually finance or purchase this Volvo model. The stylish all-new Volvo V40 is popularly known for its luxury look that manages to pull that modish appearance for a classy status. This car witnessed the contribution of thousands of our customers throughout the world that had their input harnessed in blending that perfect design that reflects safety and versatility. A decision to purchase or lease this Volvo V40 will be matched with top-brass driving dynamics-a feature that has taken commitment and great skills from the Volvo Car Corporation to develop. This car has an agile chassis that brings forth unmatched driving pleasure, experience and a feeling of value. The all-new Volvo V40 boasts of an engine that emits CO2 at very low levels-about 94 g/km, a passably good figure compared to other cars that consume diesel. The all-new V40 treats its occupants to a super-comfy cockpit with striking salient ergonomics that elicits a feeling of being in control of virtually everything. The purchase of this car makes an individual appreciate the power of technology as the fuel behind every engine. The all-new Volvo V40 comes with a support package that takes care of Pedestrian Detection and triggers a response from the Full Auto Brake system that has been developed as an expert system. Other features that you stand to take advantage of should you lease or purchase this car include; a pedestrian airbag and a Park Assist Pilot that you will find key for parallel parking.